Listen to the Talk 2 Brazil interview by Tom Reaoch with Astrid Haryati on LA Talk Radio, Nov. 11.2013: PLAY or DOWNLOAD. 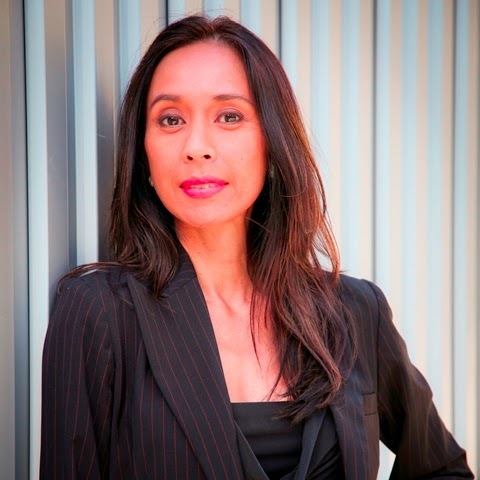 As Special Assistant and Sustainability Director, Astrid Haryati is recognized by leading green city mayors and national policy-makers as key adviser and savvy leader with strength in effective public policy and innovative sustainable strategies. Solid understanding of international issues through extensive exposure to economic, social, infrastructure, and environmental working partnerships between cities and central government in the USA, Indonesia and in Europe, Asia, and Latin America. Her experience in public policy development, negotiation, and in briefing international to local elected officials, is backed by a combined 18 years of increasing levels of Experience in public and private sector policy, sustainable development and management in Southeast Asia and North America, particularly in translating ideals Into relatable vision and in transforming urgencies into actions. Prior to serving in U.S. city governments, she was Principal Planner & Landscape Architect for Chicago based Architecture & Engineering Firm, Teng & Associates. She served as Chief of Staff to Indonesia’s Minister of Trade (2011 – 2013) focusing On public policy development and coordination to move goods and services up The value chain, transforming raw--‐based into a knowledge--‐based economy. Based on her cumulative experiences to--‐date Astrid recently founded Urban Locus, Focusing on mapping, connecting, and activating social innovation in global cities through storytelling and activation – All with global lenses--‐local senses; producing films, podcasts, and strategic writings As well as strategic advice and mobilizing actions in key parts of the world. She Is working on a book highlighting 24 real and imaginary cities’ and places ‘successes and failures through the lenses of water that run through them. Astrid received Master of Landscape Architecture from University of Colorado at Denver in 1997 and Bachelor of Architecture from Institute of Technology in Bandung in 1995, and received multi--‐disciplinary training at the Helsinki University Of Technology in Otaniemi, Finland, now known as Aalto University, combining Art and design with economics. She regularly lectured at key universities around the World and as a featured speaker in international conferences. She received numerous planning, design, and community service awards, and was Recognized as One of Seven Eco--‐Warriors Who Are Changing the World in the U.S. and as Indonesia’s Most Powerful Woman of the Year 2012.